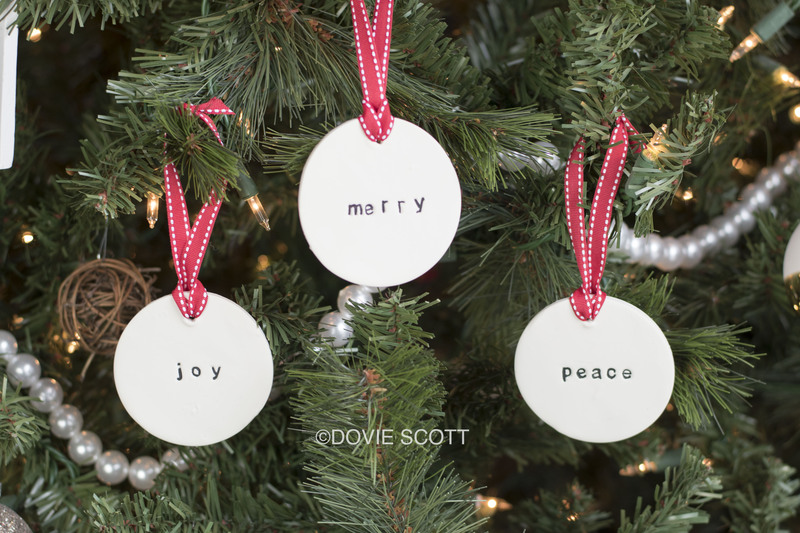 These simple farmhouse Christmas clay ornaments are super easy to make. You just need oven bake clay or air dry clay, ribbon, letter stamps and black paint. Or you can use a paint marker and write your own lettering on. Below I have a video tutorial showing you exactly how I made these. 1. Knead clay according to package directions. 2. Roll out clay and cut out circle shapes with circle cookie cutter. 4. Make a small hole about 1/8″ from top of clay circle. Make the hole large enough to thread ribbon through for hanging. 5. Place on baking sheet and bake according to package directions. If you use air dry clay then baking will not be required. 6. Once ornaments have baked take black paint and paint in the letters. If you prefer to use paint markers or a sharpie then you can but make sure it has a fine tip. 8. Hang on Christmas tree or package and enjoy! The DIY Santa’s magic key poem and magic reindeer food are very easy and a fun craft for kids to do this Christmas season. This really is an easy craft and the perfect way to get the kids a little extra excited on Christmas Eve. 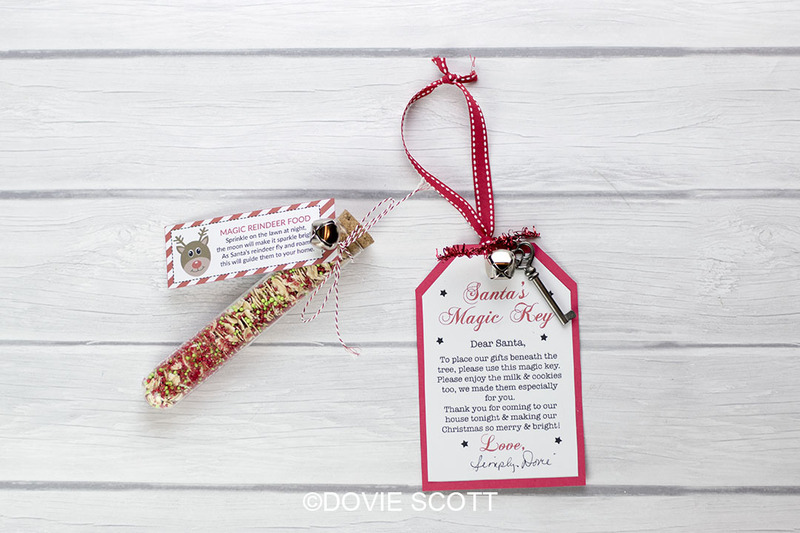 If you do not have a chimney and your kids are concerned about how Santa is going to deliver their presents then Santa’s magic key is the perfect craft for you! 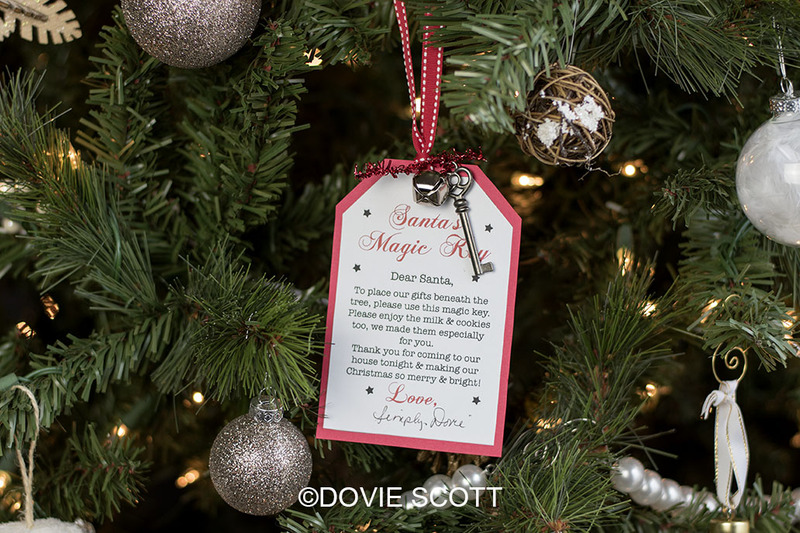 Hang the magic key poem tag and key on the Christmas tree and then on Christmas Eve hang it on the door knob or somewhere Santa will see the key. Cut out the Santa’s Magic Key poem and the backside for the poem. Glue the poem to the backside with glue stick and punch a hole at the top of poem tag. Tie a ribbon to the poem tag through the punched hole to use for hanging the poem tag. Use ribbon to string the bell and key and tie to the poem through the punched hole. Hang on your Christmas tree until Christmas Eve, then hang the poem tag to your front door or somewhere that Santa can get the magic key. Also, you can’t forget about Santa’s reindeer. On Christmas Eve just sprinkle the magic reindeer food on your lawn to give Santa’s reindeer a little snack to help keep their energy up while they deliver all the presents to all the girls and boys. 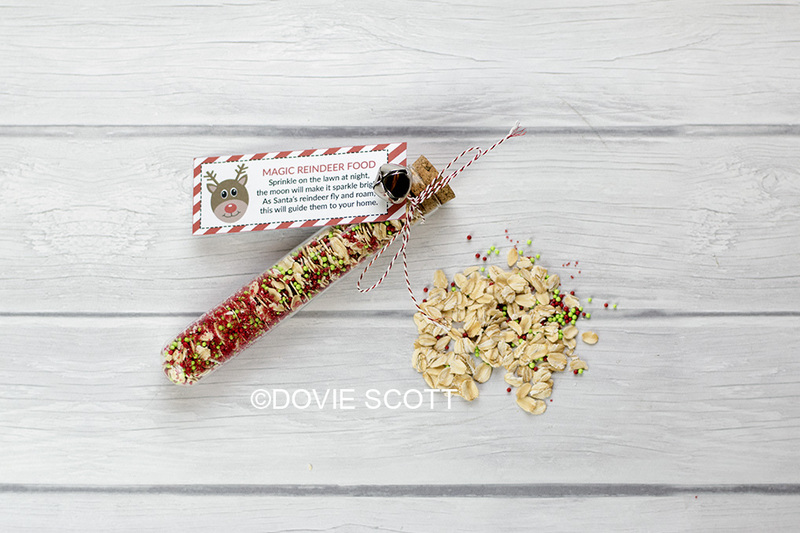 Mix together rolled oats, sugar crystals and sprinkles. You do not need to measure at all, just use as much or as little as you want. String ribbon through the punched hole on tag and tie around your container. We all get a little stumped on what to put in stockings, so here is a list of 20 stocking stuffer ideas for a teen guy. 19. Favorite sports team items: keychain, pens, etc. 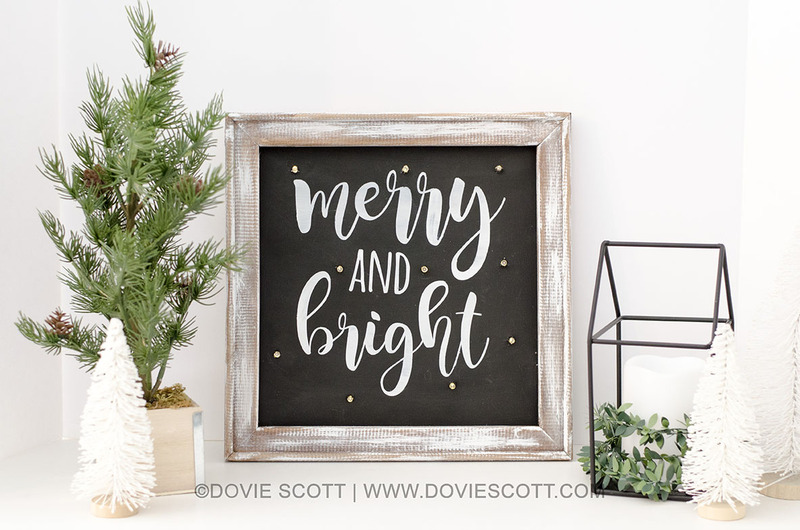 Learn how to make a DIY Farmhouse Christmas Reverse Canvas Sign with fairy lights in today’s video. 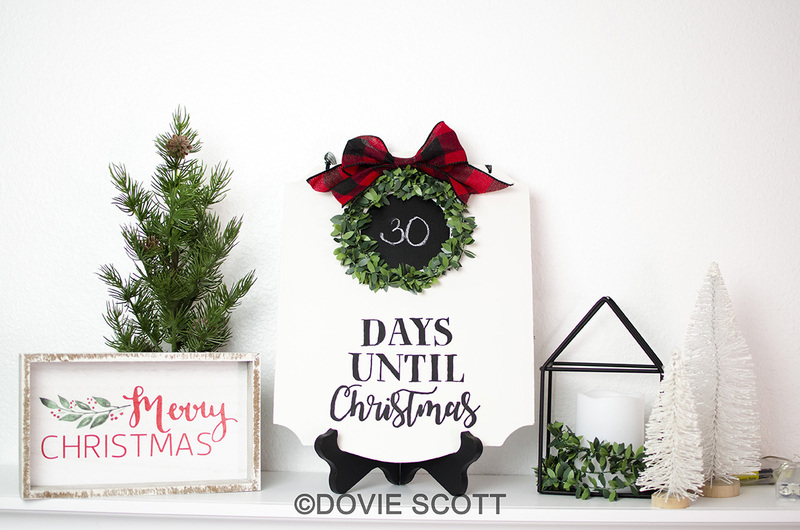 This farmhouse DIY Christmas countdown sign is so easy to make and didn’t cost a lot either. I’ve listed the steps below and you can find a video tutorial at the bottom of this post. Wood/Sign (I used a Dollar Tree sign). White Paint (I used Dixie Belle’s Fluff chalk paint). Black Paint (I used acrylic paint). Garland (I got mine from Target’s dollar spot). 1. Print out wording onto printer/copy paper. 2. Paint wood/sign white. I painted both sides 2 times. 3. Apply chalk on the backside of wording print out on the lettering. 4. Place word printout, chalk side down, on top of the wood/sign. 5. Trace the outline of wording with ball point pen. 7. Paint wording that was transferred to wood/sign. 8. Cut out circle of the Cricut chalkboard vinyl in a size that will fit your wood/sign. Remove backing and place on to wood/sign. 9. Hot glue garland on to the wood/sign around the outside edge of the chalkboard vinyl circle. 10. Make bow with ribbon and glue at the top of the garland wreath.